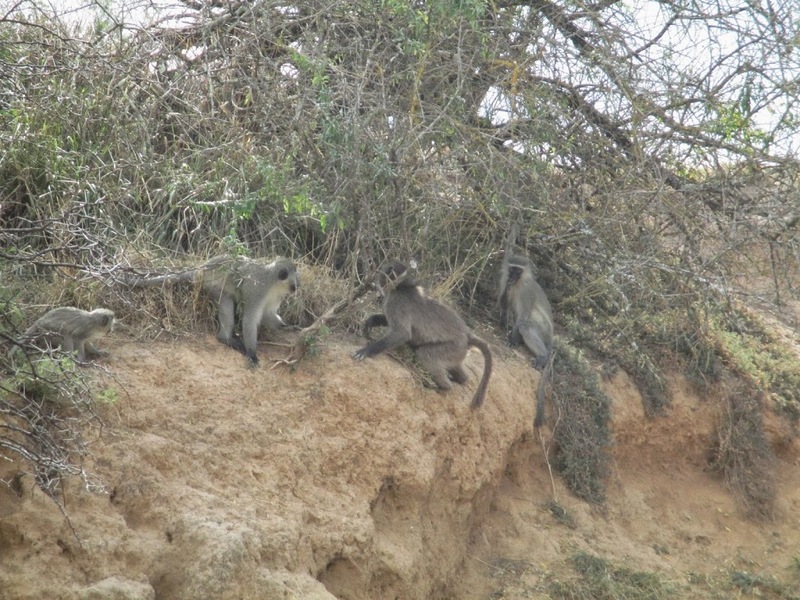 We often see the baboons around when we follow the vervets. On occasion I have seen a bunch of vervets chase away a juvenile baboon but this week things were more harmonious. There was one juvenile baboon playing with the vervets. Schmee, in particular, was having a great deal of fun play fighting with a larger opponent. It seemed to be a game of who could get the closest to the baboon for the infants, whereas Schmee had less fear and would jump on it. The baboon eventually wandered off to find its family which had moved off. It was great to see them interact and a definite highlight of the week.